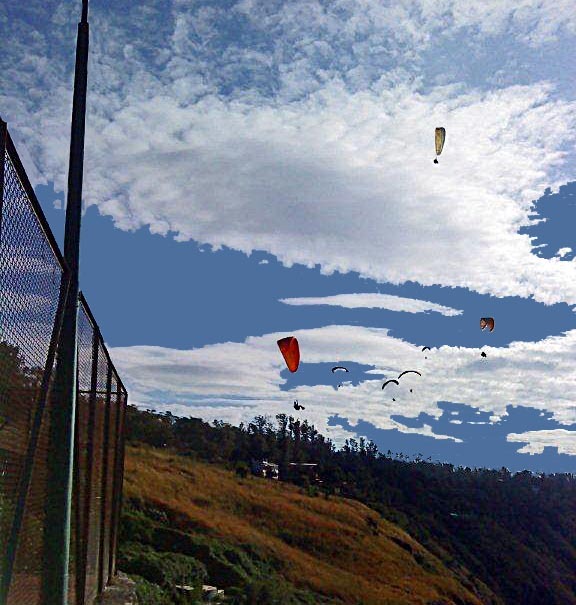 These are photographs of people paragliding near Panchgani, India, over the western ghats or mountains. The blue sky with clouds can be seen in the background. 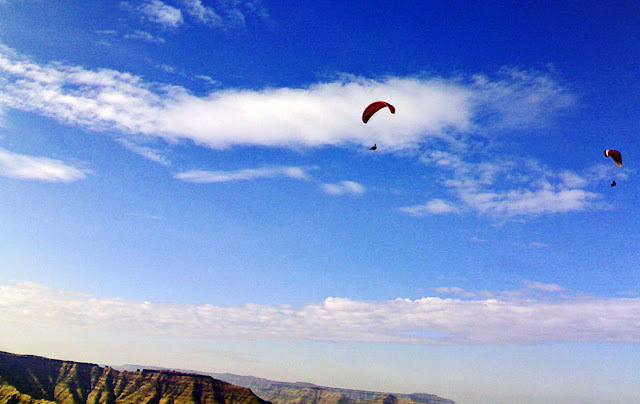 Here two flyers are gliding over the western ghats or mountains on the western coast of India, in the state of Maharashtra.